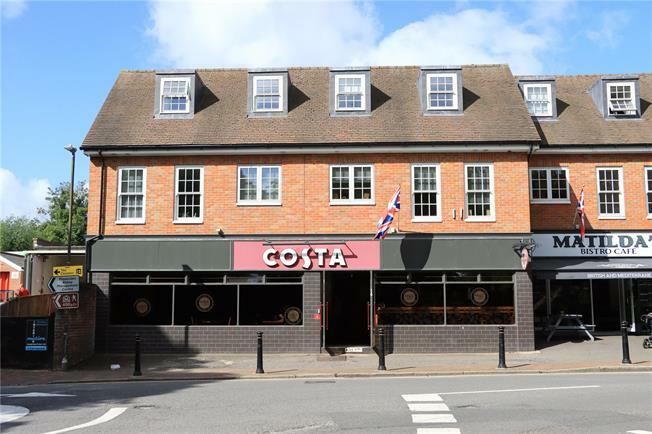 2 Bedroom Flat For Sale in Great Missenden for Asking Price £495,000. This stunning two bedroom, two bathroom first floor apartment with private parking and a balcony is set within a private gated development of just 10 apartments in the heart of Great Missenden. The spacious reception room enjoys large, almost floor to ceiling aspects and is open plan to a beautifully appointed kitchen. The kitchen itself offers a comprehensive range of fitted eye and base level units and work surfaces, with integrated appliances including an oven and gas hob, fridge freezer, built in microwave, washing machine and separate dishwasher. There are two generous bedrooms, with the master affording the luxury of ensuite facilities, whilst bedroom two is serviced by a separate bathroom suite accessed from the private entrance hall.